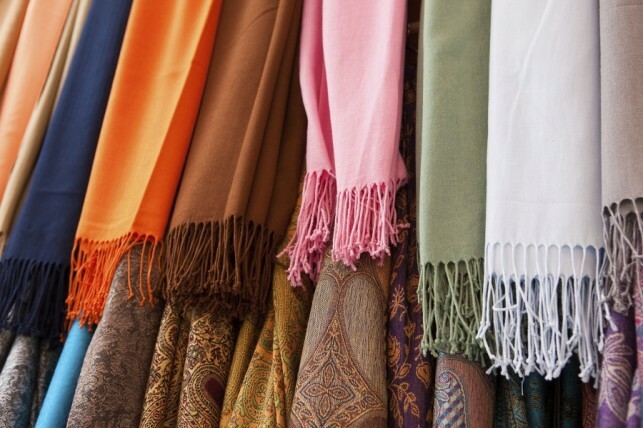 5 places in Delhi for the best scarves and shawls – before winter ends! So many shops, so many choices and so little time to shop! For winter gear we mean! After all Delhi winter is known to come and go at its own whim. Kamla Nagar is one of the most popular markets for buying the trendiest of scarves that start at just Rs 50. Even the shawls on offer here cost less than Rs 1000! And as far as guarantee is concerned, even the biggest of designers source their material from this market. 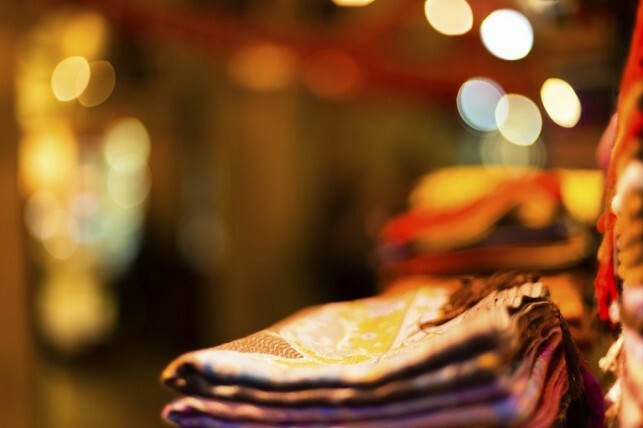 Known as the fashion hub for those who are forever on a budget, the Sarojini Nagar flea market has some of the most premium range of shawls, stoles and scarves on offer. Be it college students or a working professional, there is definitely something for everyone here. Every Delhiite knows of this place to offer the best of designer and traditional handloom. Dilli Haat unites the best of designers and weavers (even National Award Winners) from across the country under one roof. They have on display the most breathtaking designs of scarves, shawls, dupattas and stoles, and the best part? Each comes at a surprisingly affordable deal. Another extraordinary shop that can put an end to your search for unique stoles and shawls is, Atsar Exports. They sell authentic Pashminas sourced from Kashmir at unbelievably affordable prices. And the highlight of this place is that the staff lets you browse through their designs at their own pace – a good break from the pushy ones we see often! Bargha, a popular shop for shawls, stoles and scarves, is located in the Santushti Shopping Arcade at the Race Course Road. The special thing about this place is that it has absolutely every shade you could think of donning. It also has some lovely Pashmina designs to offer at great deals! Sounds like something you have been looking for? You know where to go this weekend!